This special journey to Ecuador features a visit to the Sarayaku-Kichwa who are boldly standing with awe-inspiring commitment to protect their culture and forest. We then head further into the rainforest to engage deeply with our founding warrior partners – the Achuar – in their communities, Ti’inkias lodge and world-renown, Kapawi Lodge, experiencing their ancient culture, pristine land, and unwavering stand for life. If making blow guns and joining in shamanic healing ceremonies with two Ecuadoran rainforest tribes gets your travel juices flowing, this journey is for you. No reviews yet for this trip. Browse other reviews below for Pachamama Journeys . Support the Pachamama Alliance any way you can. Take their trainings and let's get to work :). I stand in Alliance with you in any way I am able and then even more. Pachamama Alliance is the result of vision powered by heart. Their actions in the World speak louder than anything I might say here. The foresight of saving indigenous peoples, wisdom, and heirloom natural lands, at this time, cannot even begin to be measured. Spirituality is forgotten. Slowly but surely people are being aware of that fact. This page helps to remind us all that nature is very important part of our lives. Pachamama ....earth mother honoring. Happy to be in alliance with Mesa carriers and all shifting consciousness. This site is informative, necessary and expresses The urgency of our planet we must 'Take Care Of'. Arrival in Quito. Group stays at the charming hotel, Café Cultura. After breakfast and an orientation meeting at Café Cultura, we’ll head north to the scenic Andean region of Otavalo where we’ll explore the open-aired indigenous artisan market displaying the crafts and culture of the Otavalan Quichua people. 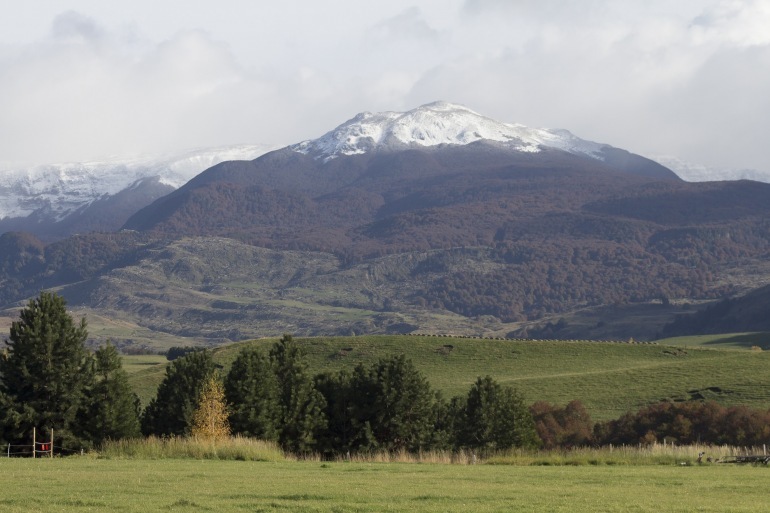 Next, we’ll visit with a Quichua elder shaman for a healing and purification ceremony, before arriving at San Clemente, an indigenous-owned community-based project situated on the flanks of the sacred Imbabura volcano. Dinner and accommodations with our gracious host families. Join your family in making fresh corn tortillas over a fire and enjoy other locally-grown foods for breakfast. We’ll learn about the background and history of the Karanqui people and the project of San Clemente, including the Andean calendar and cosmo-vision. Then we’ll spend time on the land with the community doing agricultural activities (oxen plow, planting/harvesting crops, grinding corn, etc.). Lunch will be a traditional feast with local foods grown in the community. We’ll be guided on a walk to learn about native medicinal plants used by the community. Dinner with families. After breakfast with families, we’ll set out on long hike up the sacred Imbabura volcano, sharing a picnic lunch at the high altitude with sweeping views. We’ll rest upon return and have dinner with families followed by cultural sharing and celebration, including traditional Andean music. After breakfast and farewells with our indigenous families, we’ll embark on a beautiful drive, visiting the center of the world (equator) along the way – descending the Andes through the avenue of the volcanoes and the mysterious cloud forests until we reach the gateway to the Amazon rainforest. Dinner and evening discussion about entering the rainforest and the Achuar territory at our verdant and relaxing hotel, El Jardin, located on the outskirts of Puyo. Special visit and conversation with a well-known enthnobotanist who has deep knowledge about the traditions and shamanic practices of the rainforest. integrating practical outside tools to improve their quality of life while fiercely protecting their ancient traditions and culture. In the afternoon, we’ll set out on a hike into the lush forest with our Achuar guides who will show us how the Achuar live in an interconnected way with their environment, using plants, palms and foods collected from the forest. We’ll be invited to partake in an early morning dream sharing ritual, one the Achuar perform each day over gourds of energy-enhancing guayusa green-tea, to purify and gain essential insight and guidance on how to live and what to do each day. After breakfast, e’ll head back into the forest to learn about medicinal plants and the Achuar’s unique cosmo-vision and spiritual practices, visiting a sacred waterfall where we’ll participate in a purification ceremony and have some quiet, contemplative time in the forest. In the evening, we’ll be invited by an Achuar elder to participate in a shamanic ceremony. After a leisurely breakfast, we’ll have a debrief conversation with the shaman followed by considerable free time for rest and reflection to journal, relax in a hammock, practice yoga or whatever you’re called to do. In the afternoon, we’ll go out onto the Pastaza river to float on balsa rafts, taking in the magnificence of the rainforest from the water. Evening group conversation by the fire about the ceremony and other shared experiences. Early morning dream sharing ritual for those who wish to participate. Cultural activities with our hosts where they’ll teach us how to make ceramic bowls, weave baskets, hammocks and headbands, carve darts and shoot a blowgun. In the afternoon, we’ll visit an Achuar garden to learn about the plants and food they cultivate, and the women may try preparing chicha. We’ll then go visit a massive Kapok tree, the largest species in the forest, and sacred to the Achuar people. Here we will spend some meditative time in silence. A shamanic ceremony will be offered in the evening. In the morning, we’ll have time to share with the community and one another about our experiences. Then we’ll have some free time to rest, reflect, journal or simply take in the vitality of the forest. In the afternoon, there will be the option to join our hosts for games with children and adults (they enjoy soccer, volleyball and frisbee) followed by a group gathering and celebration with the community where they will share cultural traditions including dances, chants and songs along with an impressive collection of handmade artisan items (available for purchase in support of the community and culture). We’ll be invited to share, too – please bring small instruments, songs, dances, etc. for sharing. The finale will be a traditional Achuar feast with locally grown and collected foods. Early morning dream sharing ritual for those who wish to participate. After breakfast, we’ll express our appreciation to the community and say our farewells. Then we’ll fly back over the rainforest to the small town of Shell where our bus will take us back to the nearby El Jardin hotel. Situated on the edge of the rainforest, with gourmet food and wood barrel hot tubs, it is the perfect place to relax and integrate our rainforest immersion. A day of completion, commitments and celebration. Morning circle to share experiences, learnings and commitments for returning home. Drive back through the Avenue of the Volcanoes to the rural hotel an hour south of Quito, Sierra Alisos, for our farewell dinner and lodging.